Amit Pandya, M.D., is a Professor in the Department of Dermatology at UT Southwestern. He holds the Dr. J.B. Shelmire Professorship in Dermatology. Dr. Pandya focuses his clinical work and research on pigmentary disorders such as vitiligo and melasma. He is one of a handful of full-time pigmentary disorder specialists in the country. With future research in mind, Dr. Pandya has started a vitiligo patient registry that captures over 60 details about vitiligo for each patient. This registry is one of only five vitiligo patient registries in the world. Dr. Pandya has been recognized as a Best Doctor by D Magazine and a Super Doctor by Texas Monthly for several years consecutively, including in 2018. He is a recent recipient of the American Academy of Dermatology’s Arnold P. Gold Foundation Humanism in Medicine Award and the University of Texas Regents’ Outstanding Teaching Award. He has also received an Outstanding Teacher Award from UT Southwestern medical students 14 times. He is a member of the American Academy of Dermatology, the Texas Dermatological Society, the Dallas Dermatological Society, the Texas Medical Association, the Dallas County Medical Society, the International Society of Dermatology, and the Skin of Color Society. Dermatologist Amit Pandya, M.D., is the only full-time pigmentary disorders specialist in Texas. He is an expert in treating vitiligo, a disease in which the skin loses color; post-inflammatory hyperpigmentation, usually caused by acne in darker-skinned individuals; and melasma, which causes brown patches on the face. 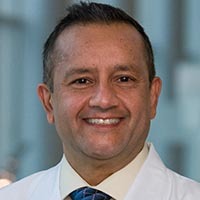 Vitiligo affects about two million people in the United States, yet few institutions offer the breadth of treatment options available at UT Southwestern Medical Center through Dr. Pandya. Treatments include phototherapy, requiring different types of machines to shine ultraviolet light on the whole body, localized areas, or the hands and feet. He also can use an excimer laser to treat smaller lesions. Some cases call for surgical treatments such as micrografting, blister grafting, and noncultured epidermal suspension grafting, also known as cellular grafting and melanocyte keratinocyte transplant procedure (MKTP). Dr. Pandya traveled to China, India, and Detroit to be trained in noncultured epidermal suspension grafting, and UT Southwestern is one of only two places in the country to offer it. As part of his research on vitiligo, Dr. Pandya is compiling one of only five vitiligo registries in the world that collects data on patients and the disease. He intends to acquire funding to conduct more research that could eventually find a cure. Currently, he also is working with scientists to develop a blood test that may be able to predict disease activity. This would help dermatologists know how aggressive to be with treatment. Because pigmentary disorders affect individuals from a wide variety of races, ethnicities, and nationalities, Dr. Pandya has a strong interest in understanding the cultural background of his patients. As a teacher of cultural competence to medical students, Dr. Pandya speaks fluent English, Spanish, and Gujarati and is able to greet patients in 16 different languages. He gathers as much information as possible about his patients’ background and condition in order to holistically treat them, not just their disease. 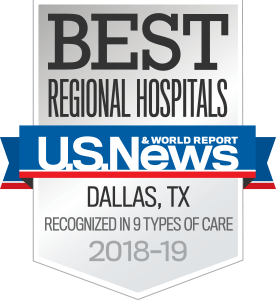 Dr. Pandya has been recognized as a Best Doctor by D Magazine and a Super Doctor by Texas Monthly and as an Outstanding Teacher by UT Southwestern medical students for many years. Cicatricial pemphigoid successfully treated with pulse intravenous cyclophosphamide. Nontuberculous mycobacterial infections of the skin. Minocycline effect on meibomian gland lipids in meibomianitis patients. Ichthyosis and keratotic follicular plugs containing dystrophic calcification in newborns: distinctive histopathologic features of x-linked dominant chondrodysplasia punctata (Conradi-Hünermann-Happle syndrome). Evaluation of new tumors in the setting of stage I/IIA mycosis fungoides. Edematous nodules on the extremities of a febrile patient: cutaneous cryptococcosis. Improvement of idiopathic acanthosis nigricans with a triple combination depigmenting cream. A histological examination for skin atrophy after 6 months of treatment with fluocinolone acetonide 0.01%, hydroquinone 4%, and tretinoin 0.05% cream. Melasma: a comprehensive update: part II. Confetti-like depigmentation: A potential sign of rapidly progressing vitiligo. Keratinocyte-derived chemokines orchestrate T cell positioning in the epidermis during vitiligo and may serve as biomarkers of disease. Chondrodermatitis helicis arising after radiation therapy. Radiation-induced erythema multiforme. An unusual presentation with elastic tissue phagocytosis. Chronic urticaria associated with exogenous thyroid use. Treatment of pemphigus vulgaris with pulse intravenous cyclophosphamide. Papulonodular mucinosis associated with systemic lupus erythematosus: possible mechanisms of increased glycosaminoglycan accumulation. Treatment of dermatomyositis with methotrexate. Successful treatment of Sézary syndrome with lymphomatous transformation to large cell lymphoma with fludarabine phosphate. Radiation dermatitis after spinal arteriovenous malformation embolization: case report. Sinus histiocytosis with massive lymphadenopathy: presentation as giant granuloma annulare and detection of human herpesvirus 6. Combination therapy of resistant warts in a patient with AIDS. Fatal scleromyxedema: report of a case and review of the literature. Seborrheic dermatitis or tinea capitis: don't be fooled. Treatment of pemphigus with gold. Pulse intravenous cyclophosphamide therapy in pemphigus. Pulse intravenous cyclophosphamide therapy for dermatologic disorders. Hypopigmented mycosis fungoides: a report of 7 cases and review of the literature. Melasma treated with hydroquinone, tretinoin, and a fluorinated steroid. A comparative trial of two retinoids commonly used in the treatment of acne vulgaris. Primary and secondary cutaneous diffuse large B-cell lymphomas: a multiparameter analysis of 25 cases including fluorescence in situ hybridization for t(14;18) translocation. Fatal granulomatous amebic encephalitis caused by Balamuthia mandrillaris presenting as a skin lesion. A randomized, placebo-controlled, double-blind trial comparing narrow-band UVB + 0.1% tacrolimus ointment with narrow-band UVB + placebo in the treatment of generalized vitiligo. A randomized, placebo-controlled, double-blind trial comparing narrowband UV-B Plus 0.1% tacrolimus ointment with narrowband UV-B plus placebo in the treatment of generalized vitiligo. Pilot trial of 1% pimecrolimus cream in the treatment of seborrheic dermatitis in African American adults with associated hypopigmentation. Increasing our understanding of pigmentary disorders. Impact of short-term dermatology medical trips in the developing world. Prevalence of self-diagnosed melasma among premenopausal Latino women in Dallas and Fort Worth, Tex. Treatment of a patient with epidermodysplasia verruciformis carrying a novel EVER2 mutation with imiquimod. Multicenter randomized, double-blind, placebo-controlled, clinical trial of dapsone as a glucocorticoid-sparing agent in maintenance-phase pemphigus vulgaris. Acquired cutis laxa associated with heavy chain deposition disease. Development of pemphigus vulgaris in a patient with psoriasis treated with etanercept. Validation of a questionnaire for self-reporting of hyperpigmentation disorders in Chinese-speaking women of Chinese descent. A prospective, randomized, split-face, controlled trial of salicylic acid peels in the treatment of melasma in Latin American women. Rapid improvement of pyoderma gangrenosum after treatment with infliximab. Continuous therapy followed by a maintenance therapy regimen with a triple combination cream for melasma. Tolerability and efficacy of a novel formulation in the treatment of melasma. Drug-induced linear IgA bullous dermatosis demonstrating the isomorphic phenomenon. Reliability assessment and validation of the Melasma Area and Severity Index (MASI) and a new modified MASI scoring method. Need for more education for latinos regarding sun-safe behaviors: comment on "preliminary evidence for mediation of the association between acculturation and sun-safe behaviors". Topical PUVA for post-inflammatory hypopigmentation. Melasma: a comprehensive update: part I.
Melasma quality of life measures. Efficacy of narrowband ultraviolet B versus excimer radiation in repigmenting vitiligo after minigrafting on the distal arms. Deferasirox for porphyria cutanea tarda: a pilot study. Top accessed article: propionibacterium acnes and the pathogenesis of progressive macular hypomelanosis. Dermatologic workforce on the Texas border: using burden on primary care as an outcome measure. Topical chemotherapy in cutaneous T-cell lymphoma: positive results of a randomized, controlled, multicenter trial testing the efficacy and safety of a novel mechlorethamine, 0.02%, gel in mycosis fungoides. Treatment of Melasma with Topical Agents, Peels and Lasers: An Evidence-Based Review. A Randomized, Double-Blinded, Placebo-Controlled Trial of Oral Polypodium leucotomos Extract as an Adjunct to Sunscreen in the Treatment of Melasma. Serving the underserved: Creating a low cost sunscreen with natural ingredients for humanitarian medical trips to the developing world. Patient satisfaction with different treatment modalities for vitiligo. Melasma: clinical diagnosis and management options. Vitiligo is not a cosmetic disease. Use of Suction Blisters for Noncultured Epidermal Suspension Grafting in Patients With Vitiligo. Repigmentation in vitiligo: position paper of the Vitiligo Global Issues Consensus Conference (VGICC). Association of Quality of Life and Location of Lesions in Patients With Vitiligo. A cross-sectional, comparative study of home vs. in-office NBUVB phototherapy for vitiligo. Q&A by Amit Pandya, M.D.